Two storey Apartment Victoria with its handy terrace is a great find to share with your family or friends as it can accommodate up to six people - just a few minutes walk from the sea and the centre of the historic old town. Apartments Marjoram are situated on the Split Riviera, in the lovely bay of Dugi Rat, just 25 km south of Split and very popular with families who are looking for a nice quiet resort but with busier places just a short drive away. Apartment Ivana is a lovely 3 bedroom maisonette made for relaxing - a gem tucked just a short walk away from Split Port and the old town with its history, restaurants and cafe bars. 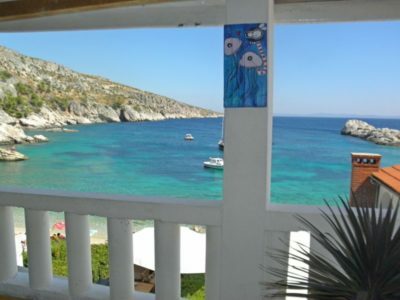 Kolocep Apartments are in a beautifully located house situated overlooking the stunning bay of Donje Celo, on the island of Kolocep - it is ideal for those who want to enjoy the beautiful nature and peaceful surroundings of the island. Perched on the beach in one of our favourite bays, the Zara Bay Apartments are perfect for small groups, or couples wanting to get away from it all. A short walk through the beautiful pines takes you to a sandy beach or wander along the promenade into the pretty village of Mlini with its cosy restaurants, tavernas and cafe bars. "The apartment was very clean and spacious with a fantastic view - the pool was lovely & we liked the proximity to the beach - the walk to the town was easy"
Benefiting from a very nice pool these apartments are situated right on the sea, within an easy wander of the restaurants in this charming & quintessentially Croatian bay. 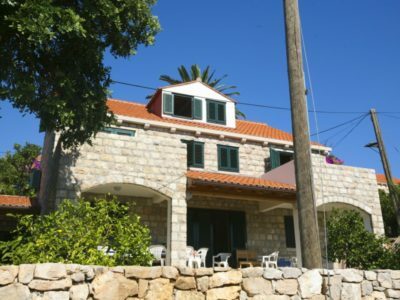 "Very accommodating - the accommodation was very clean and of a very high standard"
Walking distance from beaches and restaurants of Cavtat Bay and with sea views from the living room balcony, Villa Ante is a very nice 3 (- 4) bedroom apartment with its own private pool. 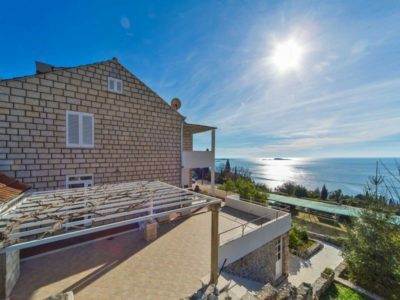 Villa Roza is a brand new, modern villa close to stunning Trogir, in the lovely well-connected village of Arbanija with its nice beaches, convenience store and restaurants.